I had to create a report having two detail sections, having both the same datasource. The solution was to create a subreport included in the initial report. 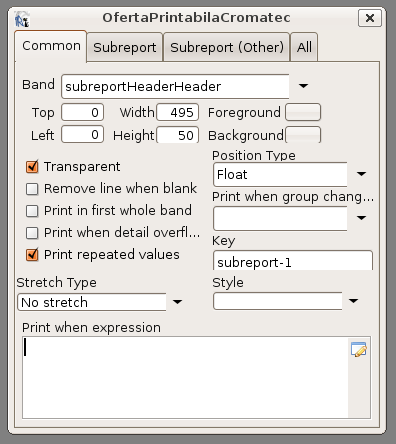 – I created a subreport having as initial dimensions exactly the size of the rectangle where the subreport is added in the report, and with 0 margins. 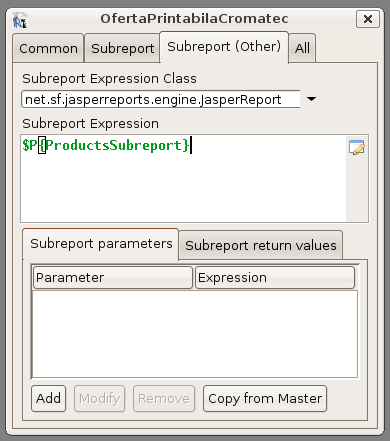 In the initial report, the subreport is received from the application as a parameter. 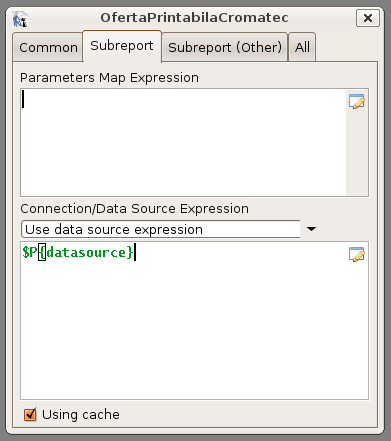 Also the datasource for the subreport is received from the application as a parameter. Like this, I avoided writing sql in the subreport. Can you please post the source code of subreports in jasper. I have followed all the steps but don’t work. I have not found any other similar example. It is possible to “connect” the main report and subreport ? I mean, the way you say here ( with the datasource from the code), with two different datasources ? I mean, for an id field of the main report there are some subreport records to display. In the master report, the subreport’s detail display the last Map element in “datasource” Collection. It seems, the ds has been iterated be for the subreport wants it to iterate…Dear Rodiq, Have you got what i mean, can you help me with this? Many Thanks. Dear John, I did not encounter that case before, but please try the jasper forums, they are a good source of inspiration. Rodiq, your post is excellent! I have searched an example like this a long time. Thank’s. Din articol mi-am dat seama ca esti roman asa ca iti scriu pe limba noastra. Multumesc foarte mult pentru solutia ta m-a ajutat foarte mult. Este exact ce cautam. This is excellent example but i still can’t it to work pls can you post me the source code? Come here so I can kiss you! Thank you so much for posting this, it helped me solve my problem.